The youth of the world are our most important assets. When youth develop positively, they have the power to benefit themselves, their families, communities, and societies. These tremendous benefits accrue for many generations, so investments in youth represent a highly cost-effective opportunity for positive change. 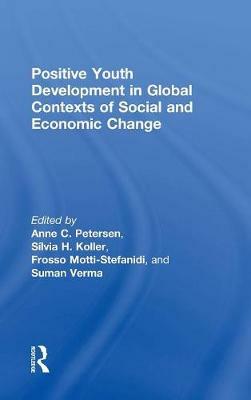 This is the first volume to focus globally on the effects of social and economic change on youth, and on the opportunity to support youth through policy, programs, and interventions to develop positively despite challenges. The chapters in this volume highlight research demonstrating youth assets and resilience as well as programs and interventions that increase the likelihood that youth will thrive. Many chapters also draw attention to opportunities for youth leadership, helping youth to develop their strengths as they benefit their communities. Additional chapters focus on promoting optimal youth development in the presence of adversity, risk, or challenge, taking into consideration the potential and capacity of the young person. Finally, the ecological system theory is a strong influence in many chapters that examine the inter-relationship of different social contexts such as family, peers, school, and work. Positive Youth Development in Global Contexts of Social and Economic Change is both a vision for the future and an ideology supported by a new international vocabulary for engaging with youth development. Developed by researchers across interdisciplinary fields, the volume has enormous policy implications for lawmakers given the surge in youth population in many parts of the world.